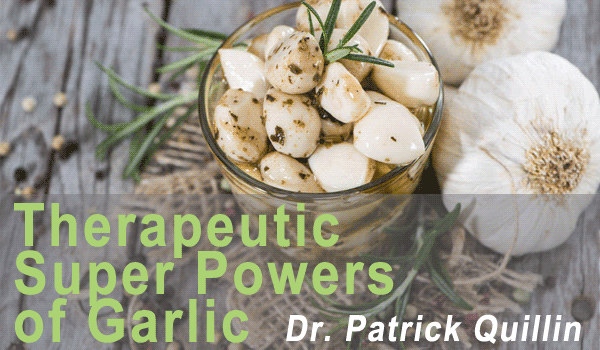 Garlic is a miracle herb with potent health benefits. Raw crushed or chopped garlic has a very peculiar, strong and bitter odour, which is the secret behind its therapeutic super power. This pungent smell is due to an active sulfur compound, “Allicin” that protects your cells against oxidative damage caused by free radicals, which is responsible for almost all chronic diseases. Fights infection: Garlic has anti-bacterial, anti-viral and anti-fungal properties that help in fighting almost all kind of infections i.e. from common cold to food poisoning. The powerful compound allicin in garlic is capable of fighting microbial, fungal, parasitic and viral infections. It is even effective in treating multi-drug pathogens and drug-resistant microbial diseases. It also works as natural antiseptic to heal skin infections and burns. Garlic can prevent and help in recovering from yeast, fungi and worm infection. Infact, raw garlic works as a natural antibiotic, which helps in killing harmful strains of bacteria without disturbing healthy microflora in your body. Boosts Immunity: Your body needs nutrients i.e. vitamins (vitamin C, vitamin B6), minerals (selenium and manganese) and phyto-nutrients (flavanoids) to heal any infection or allergy. Garlic is one of the “super foods” that is full of these essential disease-fighting nutrients (antioxidants) to give you the best defence against common cold to chronic diseases such as cancer, ulcers, haemorrhoids, obesity, diabetes and heart disease. Garlic also boosts your immune system by detoxifying your body and supporting growth of natural killer cells in your body. Relieves Cold & Cough: Garlic helps in lung and throat problems caused by cold and cough. When you consume garlic its pungent smell irritate the digestive tract and stimulate release of watery fluid in the lungs, which helps in relieving congestion by taking cough out of lungs. Further, anti-inflammatory properties of garlic besides reducing inflammation help in reducing frequency and severity of cold and flu. Reduces Blood pressure: Garlic helps in hypertension by expanding your blood vessels and lowering your blood pressure, naturally. The sulfuric compounds in garlic also have anti-clotting properties that reduce platelet aggregation. Both of these actions increase smooth circulation of blood through your system and helps in controlling your blood pressure. Do you really know why serotonin is so important for you? Prevents Heart Disease: Besides lowering your blood pressure garlic prevents heart disease by reducing oxidation of LDL (bad) cholesterol. Also, antioxidant properties of garlic help in preventing free radical damage to the arteries, which usually is the major reason behind plaque build-up and increased risk of cardiovascular problems i.e. heart attack and atherosclerosis. Protects against Inflammation: Garlic has antioxidants that arrest the oxidative damage caused by free radicals, which helps in preventing autoimmune and age related chronic diseases like arthritis, cataracts, dementia and Alzheimer’s disease. Anti-inflammatory sulfuric compounds and vital nutrients in garlic preserve bone health and prevent osteoarthritis. Prevents Cancer: Garlic intake is associated with lower risk of stomach, esophagus, pancreas lung, brain, breast, prostate and colon cancers. Garlic shows these cancer fighting properties by stimulating the production of hydrogen sulphide, which helps in reducing the occurrence and size of certain pre-cancerous tumors. Also, anti-cancer potential of garlic is due to its role in decreasing production of carcinogenic compounds and preventing DNA damage caused by these toxins in the body. Regulates Blood Sugar Levels: In diabetics, body’s cells become insulin resistant and have trouble responding to the insulin hormone. The sulfur compounds in garlic improve insulin sensitivity and thus support better regulation of blood sugar levels in diabetics. Fights off fatigue and stress: Garlic can help in reducing stress and fatigue by improving iron metabolism, which boosts up your working capacity. Studies show that garlic supplementation can enhance athletic performance by reducing peak heart rate and improving exercise capacity. Prevents obesity: The sulfur compounds in garlic boost your metabolic rate and decrease formation of fat cells in your body. Also, anti-inflammatory properties of garlic help in preventing weight gain and support weight loss. Aids Digestion: Essential nutrients and sulfur compounds in garlic helps in digestion and absorption of vital nutrients, which gives your body that anti-inflammatory immune boost. Garlic also facilitates normal intestinal function and works as natural medicine in treating any digestive disorder i.e. dysentery, diarrhoea, colitis and worm infestation. Treats Skin Problems: Garlic facilitates detoxification, which purifies the blood and makes your skin healthy inside out. Also antioxidants and nutrients rich garlic helps in scavenging free radical damage, which prevents premature aging of your skin. These qualities of garlic make it excellent natural remedy for relieving skin problems like acne, wrinkles and blemishes. Promotes Hair growth: The high sulphur content of garlic helps in making hair protein i.e. keratin. Therefore, eating garlic can help in treating hair loss problems by stimulating hair re-growth. Are you getting enough Vitamin B in your diet? Add garlic to your salads, salsa, soups or roasted vegetables just before serving. Also, you can blend raw garlic with olive oil, vinegar and salt to make your own salad dressing. Incorporate about four cloves of garlic per day in your meals and get its amazing therapeutic benefits for living a healthy long life. Precaution: People, who are diagnosed with lupus, asthma, bleeding disorder; or are on blood thinning medicines; or have allergies, should avoid garlic consumption. ← Do You Suffer From A Bloated Stomach? Where does Cayenne Pepper come from?